His Excellency the President of the Republic of The Gambia Adama Barrow has said that citizenship is only about fighting for rights and share of the national cake. More importantly, he said citizenship is about belonging to a nation and contributing to the creation, development and expansion of the national cake. “In real terms, the national cake is the national wealth, with everything that goes with it”. 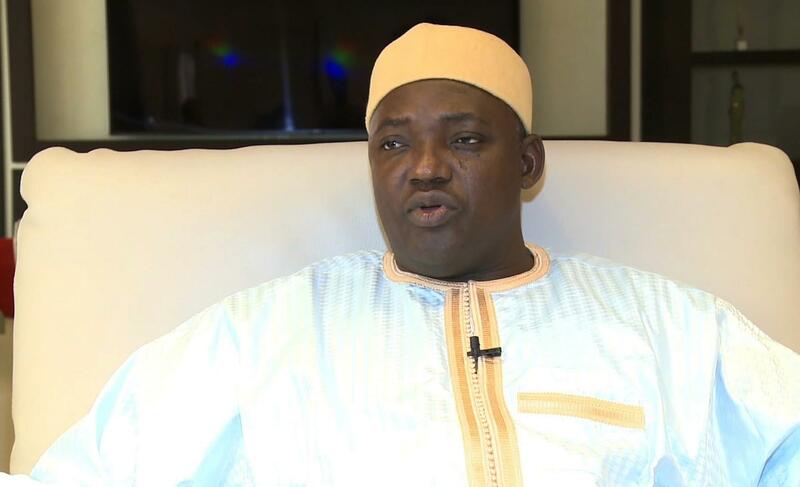 He made the statement on the state broadcaster in his New Year’s message to Gambians. “Like democracy, the national wealth is the creation of all citizens, out of the contributions of all citizens and for all citizens to enjoy. As it is a responsibility to defend one’s rights, so is it a responsibility to build and protect the national wealth. Successful nations have demonstrated this quite amply” he asserted. Citing on the issue of crime and security, Barrow appeal to Gambians to support the Security Services, and provide community support systems for them. Noting this can be done if all citizens stand firm against crime, especially against illegal drugs, robbery, murder and corruption. “Our development and happiness depend on the degree of our freedom, peace, stability and ability to attain our noble goals”. He went on “It has been a year of success, inspiration, renewed optimism and hope. The result is that we have been inspired to believe in ourselves and build confidence to run the affairs of this nation. We are convinced that, acting together, we can achieve whatever tasks and targets we set ourselves”. He acknowledge that 2018 will be remembered in the years ahead as the year the country broke down barriers and unlocked the doors to success, progress and development. The President highlighted that end of every year serves as a reminder of the importance of time in relation to how it drifts away unnoticed; how one grow older; yet, how mature and wise one become and the urgency to attend to unfinished business and to rededicate yourselves to your duties and responsibilities. Reflecting on the past, 2017, he described the year as a historic year in the annals of the country, he lamented that it marked the crucial turning point in the history of The Gambia and a welcome change of government, adding it was the year that, together, Gambians won the battle against dictatorship, and a tyranny government. “It was the year we laid the foundation for a truly democratic government”. Barrow however said life cannot be rosy all the time, adding 2018 has its dark side, saying the Faraba Bantang and Busumbala incidents, as well as the standoff at the Social Security, Housing and Finance Corporation, are regrettable examples. “In spite of the complexity of the challenges that emerged during the year, the right approach was adopted and appropriate action taken in each case”. President Barrow added he hope that the lessons learnt in the process will prevent the occurrence of such events. “The change of government last year sparked off a lot of political agitation and activity, which continue to gain momentum in the country. This is part of democracy. Nevertheless, the debates and discourses that underlie political activities should be decent, constructive, positively productive and unifying. This cannot be attained in the absence of discipline, proper education and orientation, maintaining the rule of law and respect for one another”. He added “In a young democracy, such as ours, politics should be handled with tack and caution. In these circumstances, there is need for national unity to ensure that there are no cracks that enemies of the state can exploit”. Barrow advice the institutions to update their Action Plans and devise ways of addressing the bottlenecks encountered during the year. “Success begins with proper planning” he advised.